Atletico Madrid defeated La Liga adversaries Athletic Bilbao on Saturday night, as Diego Godin completed a late comeback to hand the hosts a 3-2 victory. "I'm very happy for the fans. Today's atmosphere was extraordinary," Simeone told Atletico Madrid's official website. The win on Saturday was the side's second in just five days, following their impressive victory against ​Bundesliga leaders ​Borussia Dortmund in the Champions League. 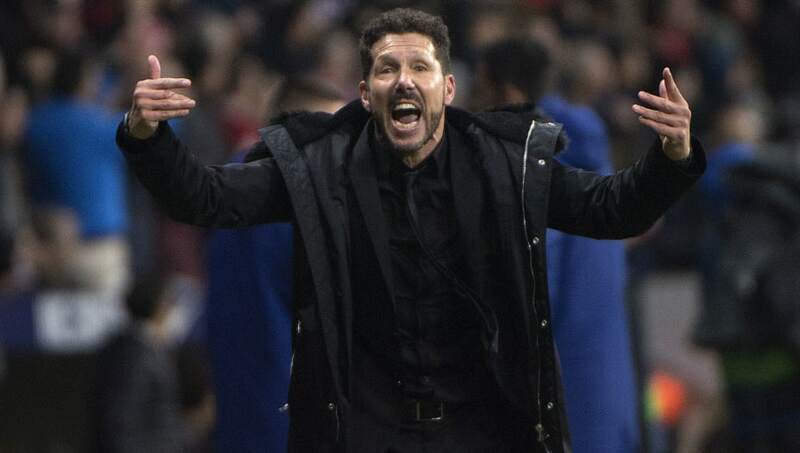 Simeone understood the difficulties of playing two games in five days against top-class opponents, and lauded his players for the way they performed in both games. "We had played a very good game against Borussia Dortmund, who today beat Bayern Munich and are still top of the league, and the truth is it was very difficult for us. ​"But [we are] working hard and never giving up". The Argentine went on to praise the outstanding support of the Atleti faithful, adding: "The effort and the atmosphere stick out. The atmosphere is fantastic. This stadium is incredible". ​Atletico Madrid are now unbeaten in their last nine league games but face a stern test in a fortnight's time as they welcome league leaders Barcelona to the Wanda Metropolitano. However, after conceding more goals at home on Saturday than they have in their previous five home league games, Simeone will be hoping his injury-ridden defence can return to full strength before the top-of-the-table clash.